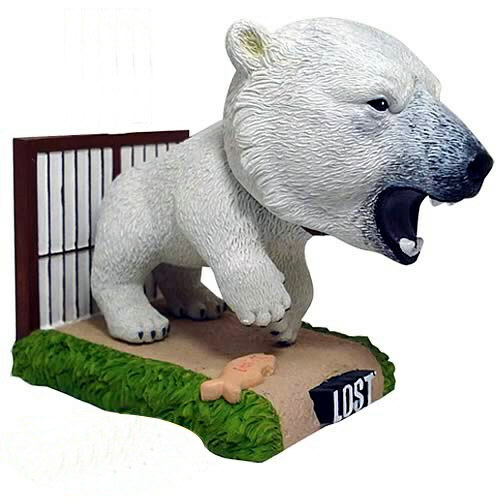 The Polar Bear Bobble Head was released in Summer 2011 and is an Comic Con exclusive limited edition of 570 pieces. 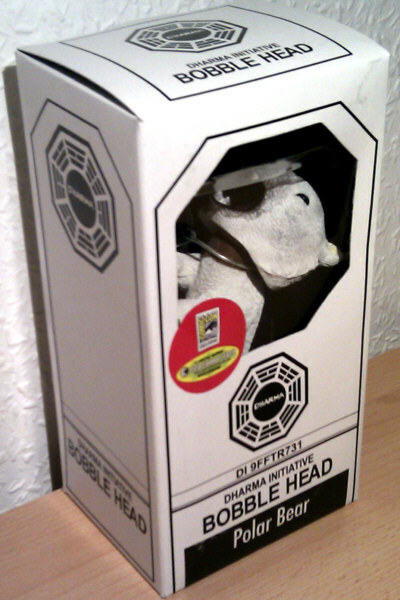 Comes wearing a Dharma Initiative collar, the base features a cage wall and fish biscuit. 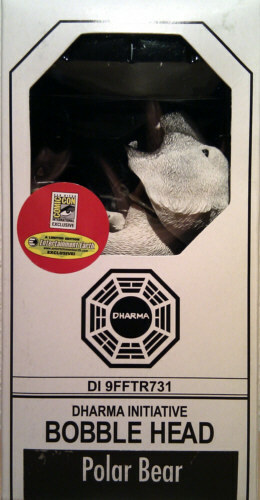 Polar bears in the Dharma Initiative Swan Station orientation film.